Selling belongings you no longer want or need on eBay can be a great way to create extra space in your home, declutter and make a profit. Although eBay can be daunting to new users, if you follow our simple steps you could be on your way to being a powerseller in no time! To state the obvious, start by setting up your eBay account. 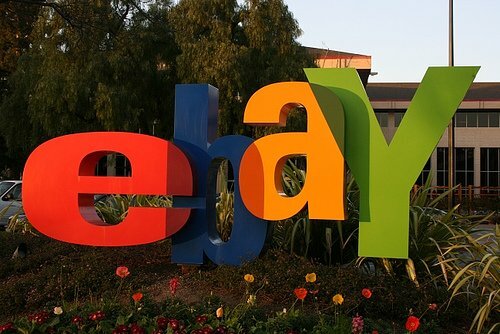 Visit the eBay home page, and click “register” in the top left-hand corner. You will need to enter your name, email address, and choose a password. Then choose a username; go with something sensible-sounding to gain buyers’ trust. You will then need to set up a payment method, the easiest way to do this is to set up a PayPal account, however you can expand your payment options as you go along and find out what works best for you. You will need your bank details to keep these to hand. Sort through your belongings, decide what you don’t want or need anymore. Due to the popularity of the site, pretty much anything of good quality is viable to sell. However, don’t sell anything of poor quality, and check what is banned from the site as selling banned items will result in your account being permanently deleted. At Storage Giant, we offer storage units for eBay sellers, for as little as £5 a week. This could prevent items cluttering up your home or getting lost. We offer 24/7 access, flexible storage and in Cardiff we offer a customer internet lounge. Take the time to fill out your profile to reassure customers you are a legitimate seller. It doesn’t have to be elaborate, but include a picture and some information about yourself. If you are a collector, list your credentials. Buy a few small items before you start, and pay promptly to build up your reputation. Before you start selling, it’s best to have a browse round the site. Look at what’s selling, what titles people are using and how much they are selling for. When you start selling, start small to familiarise yourself with the process. Include as much information as you can in the title for your product to appear higher up in the search results. Include alternate phrasings, adjectives, colours, and sizes. A bad title would be something like “black dress”- it doesn’t tell you much about the product and won’t appear in searches. A better title would be “Womens ladies black long evening maxi dress TopShop size 12” – more information and the variety in keywords will show up in more searches. Also check spelling – a misspelt keyword won’t show up in searches at all! Take clear, up-close photos of your item on a white sheet or other solid background. Pay the bit extra for the gallery feature to include one of your photos in the gallery rather than an eBay stock photo – this will make it stand out in searches. Include as much information as you can about the product, but write in bullet point format and include the most important information near the top to make it readable. Be honest about any defects. Offer free shipping and returns to build trust. Be friendly and answer any questions people ask. Unless you are selling a car, start the bidding price low and avoid setting a reserve – this could scare away customers and prevent bidding wars. The best time to end your auction is on Sunday evening. At this time, most people will be at home relaxing and this will be the most popular time for bidding wars. Also, if you are not in a rush to sell your things it could be worth selling in the run up to Christmas, as this is when people will be doing the most shopping.